The Dolar Shop recently announced that they were partnering up with Ocean Wise to promote sustainable seafood options at their restaurant in Richmond, BC. I had the opportunity to visit The Dolar Shop for a media event and learn more about this amazing new initiative. 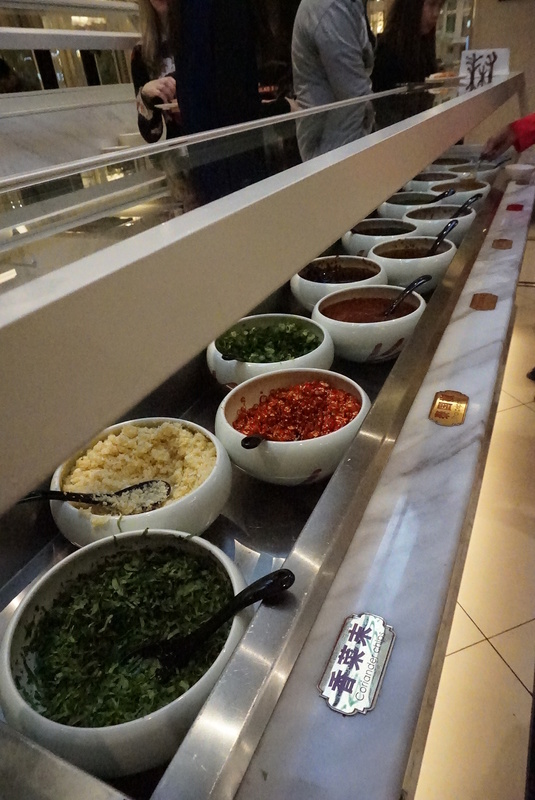 The Dolar Shop is a hot pot restaurant which opened about a year ago in Lansdowne Mall. 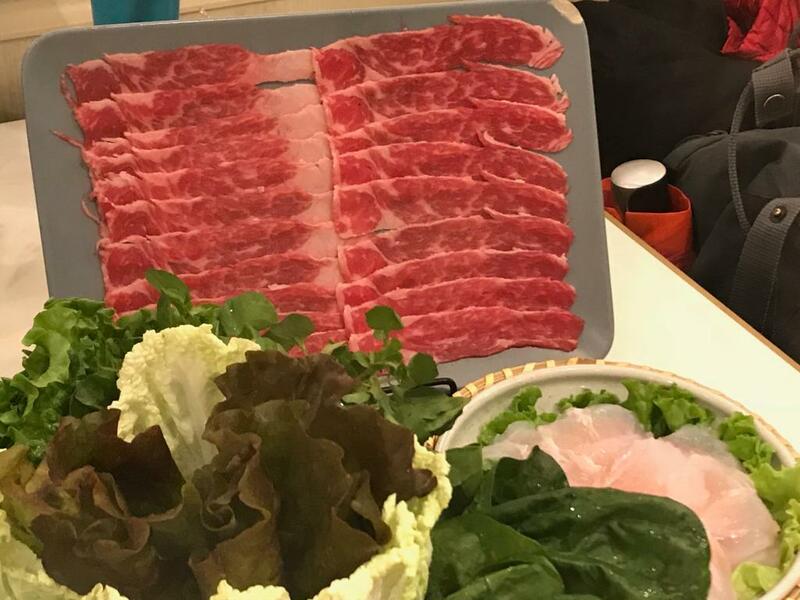 A popular hot pot franchise directly from China, The Dolar Shop has been known for offering hot pot items such as their signature shrimp pate and wagyu beef slices. However, more recently, they are now offering a special Ocean Wise menu curated by their supplier, Ocean Mama‘s Chef Poyan Danesh and Chef Ned Bell from Ocean Wise. Ocean Mama is the key supplier in Vancouver for seafood, including sustainable seafood for the Ocean Wise menu. 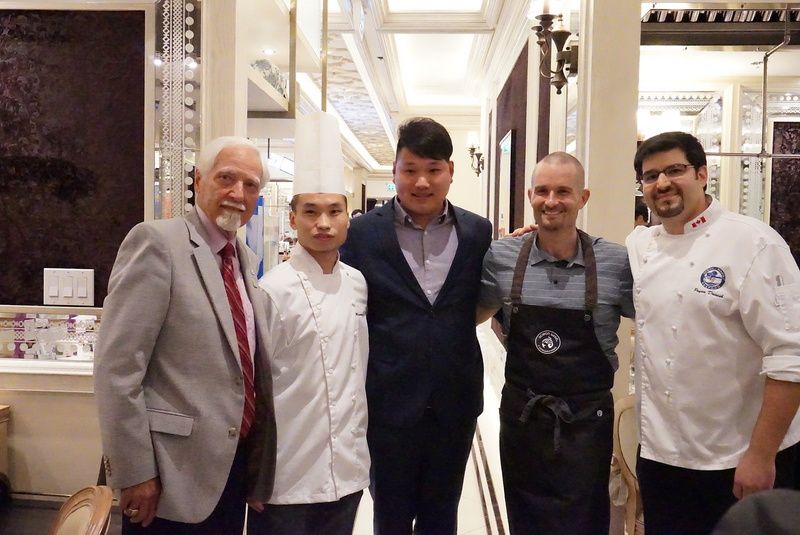 Both chefs recently travelled to visit farms in Vietnam exploring the various sustainable seafood also showcased in this partnership. I had the opportunity to try the crate of Ocean Wise seafood to use for our hot pot event. 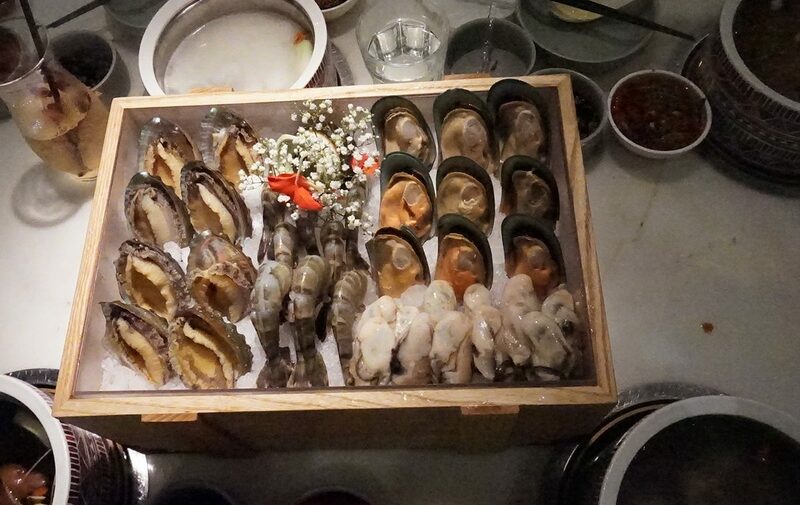 These seafood items included: abalone, greenlip mussels, oysters, organic black tiger prawns, clams, and basa filets. The Ocean Wise menu is one of the first of its kind to be served in a Chinese hot pot restaurant in the Lower Mainland. The Dolar Shop’s Lucy Liu really hopes that by being a leader in the Richmond community in promoting sustainable seafood with Ocean Wise, that more Chinese restaurants will follow suit. As with all Ocean Wise partnered restaurants, The Dolar Shop will promote the Ocean Wise symbol next to the items on their menu. 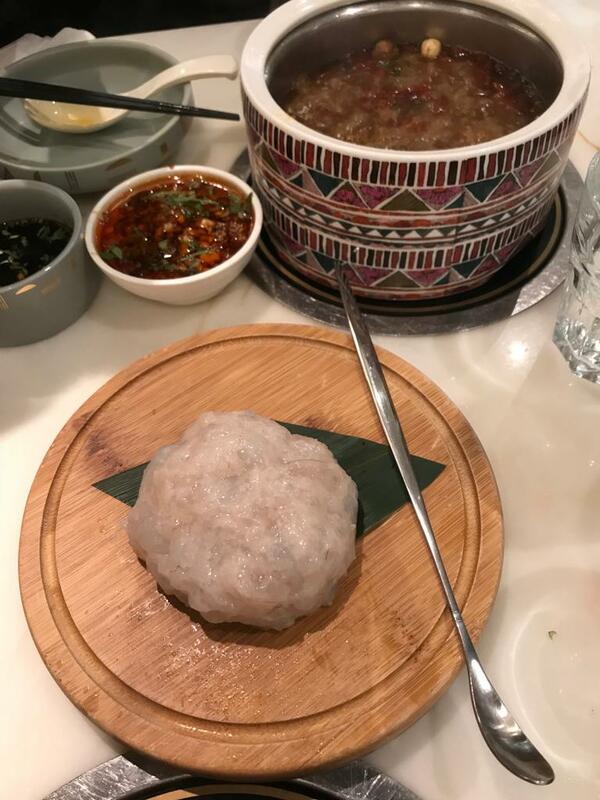 Along with sampling the Ocean Wise ingredients for our hot pot, I also had a chance to sample the signature shrimp pate, high-grade sliced beef, fresh made noodles, and vegetables. For my broth, I selected the herbal Chicken broth – one of several various broths each person can select from for their individual pots. I really enjoy pre-making my own sauces, and The Dolar Shop’s large selection of sauces will appeal the sauce lover! You can find peanut sauce, satay sauce, various chili sauces and oils, and more. I look forward to my next visit to The Dolar Shop so I can sample more of their hot pot items, a different soup broth, and more sauces to try. For more information on The Dolar Shop, visit: www.dolarshop.com. They are opened daily from 12pm to midnight at Lansdowne Mall, Richmond, BC.